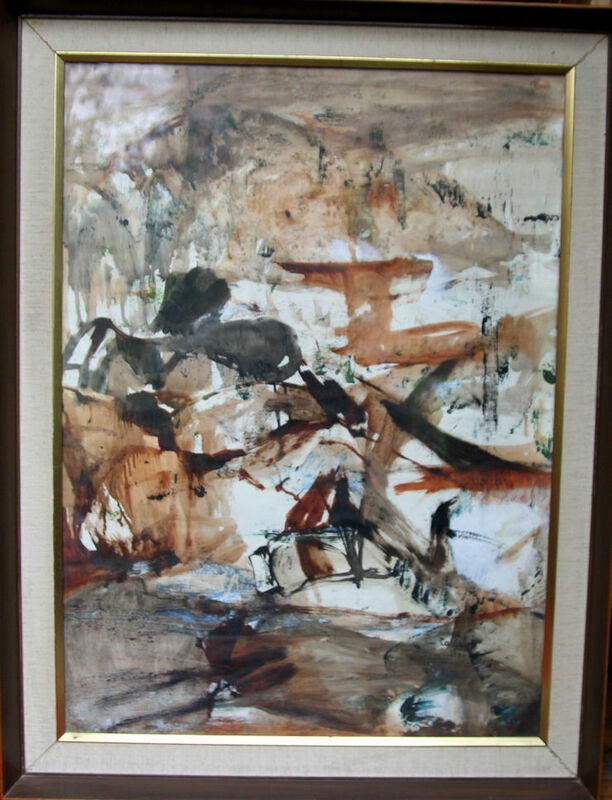 An original watercolour on paper by famous listed Australian artist Judy Cassab. This stunning oil is a bold, adventurous and confident abstract expressionist landscape which dates to 1961. 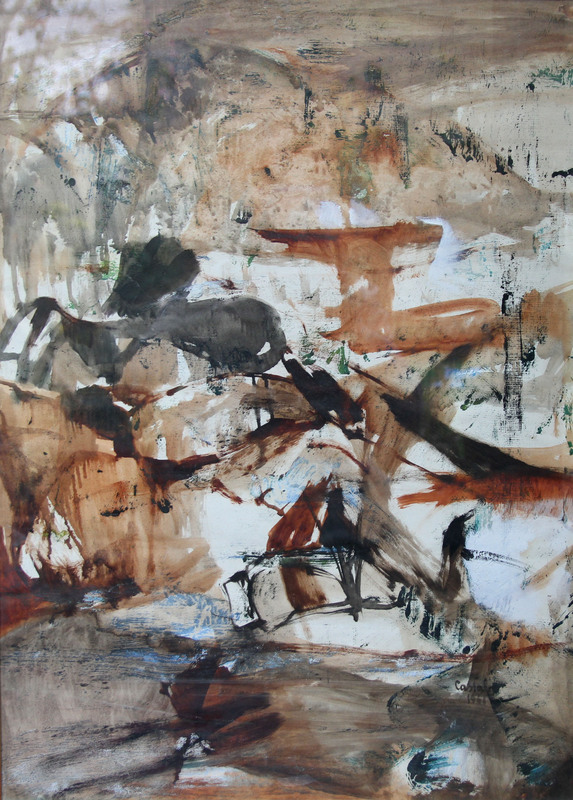 It was exhibited in 1966 in the Commonwealth Exhibition and was previously owned by the artist Denis Bowen. It has beautiful subtle blues and browns and depicts the wild arid Australian landscape outback. A very colourful and vibrant painting. Commonwealth Exhibition 1966. Denis Bowen. Housed in an original gallery frame 35 inches by 27 inches. Excellent condition. Judy Cassab AOCBE (born 15 August 1920) is an Australian painter. She has twice won the Archibald Prize. Judy Cassab was born Judit Kaszab in Vienna, Austria in 1920 to Hungarian parents. Her husband was put in a forced labour camp by the Nazis in World War II, and returned to Hungary in 1944. She moved to Australia in 1950 and settled in Sydney. She was the first woman to win the Archibald Prize twice: in 1960 for a portrait of Stan Rapotec and in 1967 for a portrait of Margo Lewers. She has held more than fifty solo exhibitions in Australia, as well as others in Paris and London.